While the number of smokers in the UK would seem to be at an all time low, the number of hospital admissions linked to smoking stands at a staggering 484,700 (as of 2016/17) an increase of 2% from the previous year. This unfortunately high number also makes up for 4% of all hospital admissions in the UK. There are a multitude of benefits that come with quitting smoking, and not all of them are related to your health. Been pining after that luxury holiday? Or perhaps you wanted to splash out a little this Christmas. Well, by quitting smoking you could save (on average) around £250 a month; now that holiday doesn't seem so far off! Saving your hard-earned cash isn't the only benefit on quitting smoking as ditching the cigarettes could improve, not only your health, but also the health of your friends and family. 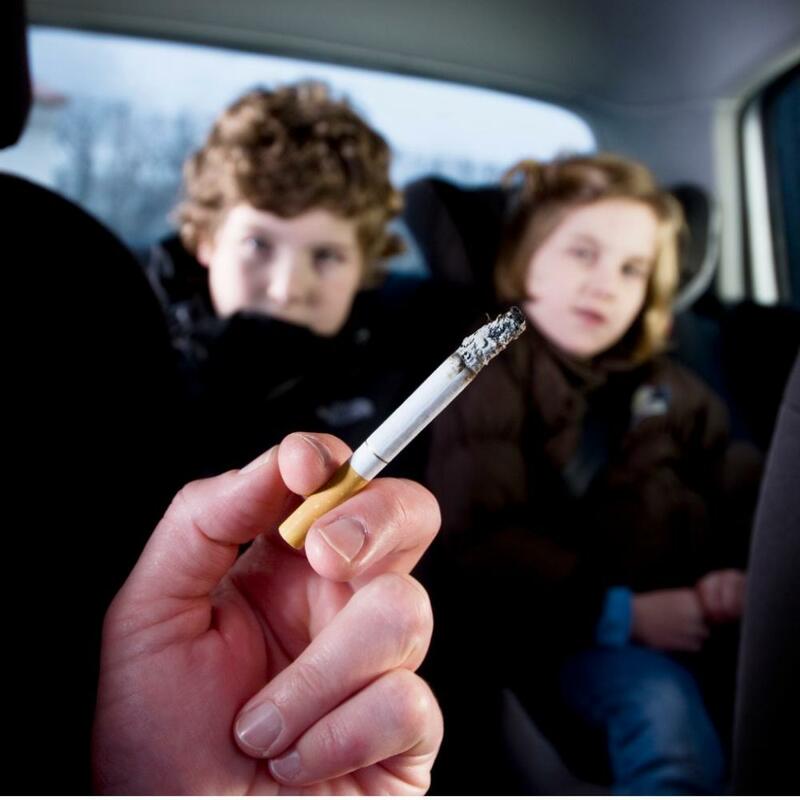 second-hand smoke can cause some nasty issues too, so keep your loved ones from harm by starting your journey this Stoptober. Starting your journey right is an important step in quitting smoking for good; without an effective plan it is easy to fall back into the habit. This Stoptober Public Health England are using their 'OneYou' scheme to help you create a quitting plan tailored to you. 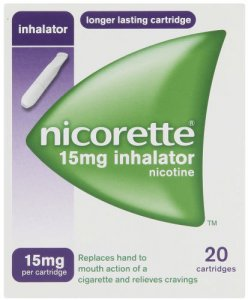 With a mix of products and varying support systems, you will be able to work your way to being smoke free. Click HERE to create your own personal plan. Stoptober is the prefect time to begin on the road to quitting, with people all over the country downing their cigarettes you will not be alone in the struggles you may face. Talk to others who are going through this process too and work to motivate each other. this can be done through online chats and forums, or perhaps you could even bring a friend along for the journey so you can help each other along. 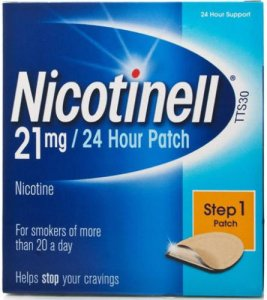 Why not that a look at the Nicotine Replacement products we have on our site, and start your journey today? When challenging yourself to stop smoking, it is important that you surround yourself with people who will keep you focused on your goal. Create a support system of friends, family, and loved ones who will always make sure you're on track to quit. Making your loved ones proud is a type of motivation like no other, so make sure to let them know if you feel like a relapse, or perhaps even if you do relapse. It is this support that will get you to where you need to be. Further to this, you can seek professional face-to-face support from your local GP or Pharmacist who will be able to provide you with help and advice on the hows and whys of stopping smoking for good. It may not be an easy journey but having a strong support system will help you on your way. Whether it is for your own health, to help financially, or to keep your family safe, everyone on the path to quitting has a reason their journey started. It is important to keep that reason in your mind throughout the inevitable highs and lows of this experience. Although it may be easy to fall back into old habits at times, just know that all this hard work is for a reason. Give yourself physical reminders such as: a savings jar for that dream holiday, a picture of your family to look at whenever you get a craving, or a smart device which can track your state of health. Reminders such as these will ensure you're focused on your goal and help you fight the urges at the most difficult times. For more information visit the OneYou website, or why not watch Jeremy Kyle's take on how to stop smoking (here), in partnership with Stoptober. 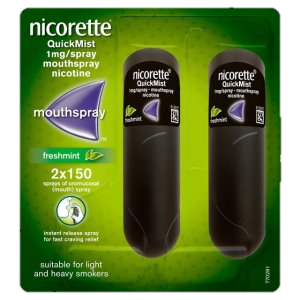 Nicorette Quickmist Click HERE to buy.